From the moment you were detained and arrested every decision that you make can make a difference in how your drug charges case develops. If you have been charged, arrested, or are being investigated for a drug related crime, you need to contact a drug crimes defense attorney to get control of your situation. Any drug charges are typically brought to court in order to achieve a stiff sentence rather than negotiate an insignificant plea. The courts want to set an example, and deter the accused of continuing any involvement in drugs. Whether it is misdemeanor marijuana possession, possession of a controlled substance or the serious felonies such as manufacturing meth or major drug trafficking, drug charges in Georgia are serious business. Most drug arrests can provide the prosecutor for the opportunity to bring several charges which complicates the defense process. 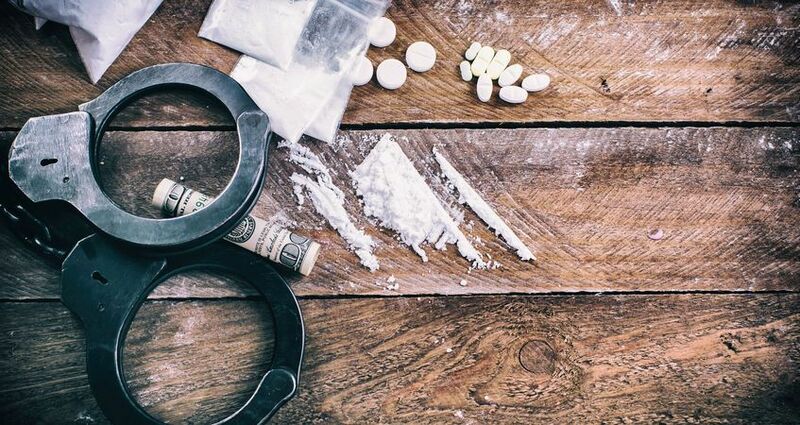 As your drug crimes defense attorney it is important that we get started as quickly as possible to intervene with the prosecutor’s office and learn what evidence they have on you. Whenever possible we want to get evidence dismissed early and then focus on what is left for the prosecutor to use. By stripping away evidence, it places a greater burden of proof on the prosecutor, and opens up the jury to agree to "reasonable doubt". Your best chance to beat drug charges is to call us immediately, set an appointment with an attorney, and begin your drug charges defense. Cocaine Charges, whether it is crack cocaine, powder cocaine or cocaine trafficking you are in serious trouble. Georgia is very tough on any type of drug crimes, however certain drugs become high profile cases in the prosecutors office. Law enforcement typically does extensive investigations to find any personal ties or connections to the situation, and then turn each person against the other. It is important to get adequate defense representation to prevent additional, or wrongful charges form being added to any current charges. Controlled Substance Charges can be brought against even "average citizens" simply because they were carrying prescription drugs outside of their properly labeled container. In other circumstances, people are caught with prescription drugs for which they do not have a prescription or appropriate container. Every controlled substance charge or controlled substance arrest needs to be carefully reviewed for opportunities to explain why the charges should not be pursued, or fight the legality of the search done by police. Drug Manufacturing, Distribution or Trafficking charges can be investigated by local law enforcement as well as the GBI, FBI, DEA or ATF. Persons arrested for these crimes who are also in possession of firearms are certainly facing additional charges. Knowing that law enforcement will be conducting an extensive and intense investigation means that anyone arrested for these charges needs to immediately hire a criminal defense attorney. Anything you say can not only make your case worse, it could place your life in jeopardy from other persons involved in the matter. Meth Charges have risen to the top part of the list for drug crimes that get the most scrutiny and aggressive prosecution. From charges ranging from buying products used to manufacture meth to being tied to a meth lab, there are harsh penalties for meth charges in Georgia. Marijuana Charges are usually misdemeanor possession charges although we do defend clients charged with intent to distribute, growing marijuana, and involved in other activities that bring pot charges in Georgia. Marijuana charges may be accompanied by charges for possession of paraphernalia, probation violation or driving under the influence. Narcotics Charges include a wide range of drugs including heroin, ecstasy, speed, hash, acid, PCP, and other substances. Charges for these types of drugs are certain to aggravate prosecutors and judges as they are deemed to be especially dangerous and highly undesirable. Having any of these substances in a volume that is being reasonable consideration of "personal use" will require a very aggressive criminal defense. Paraphernalia Charges can be brought for possession of devices which are contaminated with THC, PCP, cocaine, meth, or other illegal substances. Police are very well trained on types of paraphernalia including bongs, power hitters, roach clips, glass pipes, wire mesh screens, steel wool filters, and various containers or methods used to conceal illegal substances. Grisham Law Firm specializes in only criminal defense law. We are criminal defense experts. Our criminal defense experience ranges from representing clients charged with serious felonies to common misdemeanors such as DUI or disorderly conduct, and drug charges defense representation. We handle both jury trials and non-jury trials. When you hire Grisham & Poole you have taken a solid step towards achieving a successful outcome. As your criminal defense attorney, our purpose is to help you walk away from any criminal charges. We feel that it is our obligation to fight for dismissal of all charges, win an acquittal or not guilty verdict. We do not believe that our purpose is to negotiate a guilty plea, however if this is what you choose to do, we can represent you to seek minimal penalties or alternative sentencing options. If you are being investigated for, or charged with, any type of drug charges we recommend calling our law office as soon as possible. We understand the urgency of the matter, and respond quickly to all calls and online inquiries to hire a criminal defense lawyer. To get control of your situation CALL 678-880-9360 for a FREE APPOINTMENT with a drug crimes defense attorney in Canton GA.